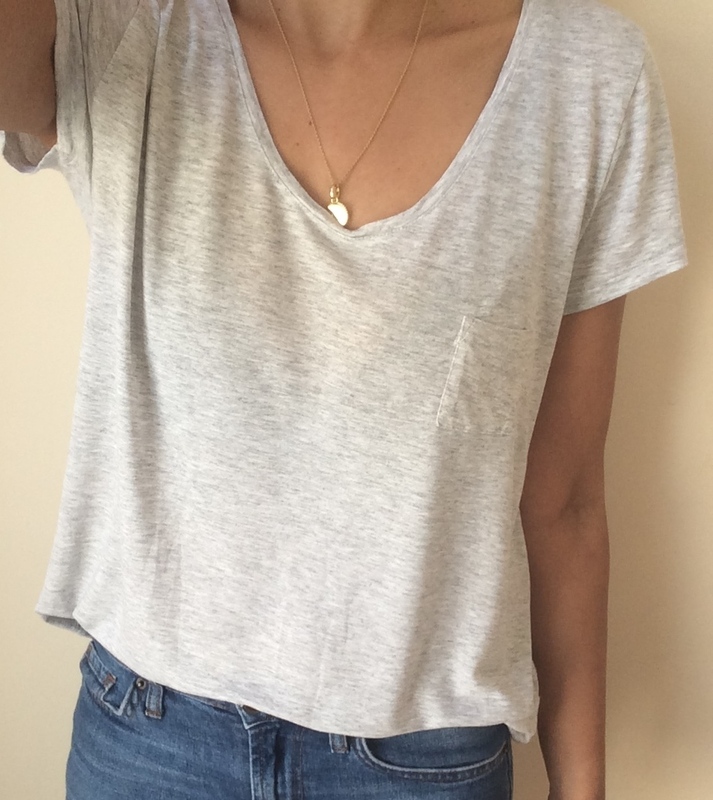 The basic t-shirt is a wardrobe favourite of mine, I've become very reliant on it, especially on days where "I have nothing to wear". 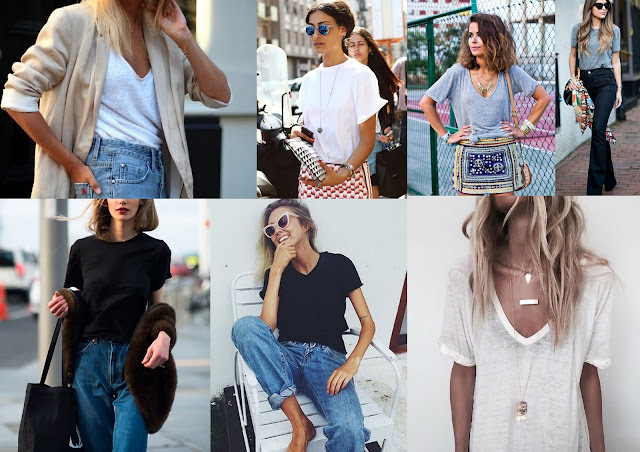 The best thing about the tee is that you don't have to spend too much on one, the downside?...It can be a nightmare to shop for as it comes in so many different variations. A basic t-shirt is one to try on before you buy, it can come in countless different styles, materials and lengths and then there's the neck style too. I have always had problems getting the perfect tee until now. When I'm in central London, Regent St has to be one of my favourite roads to shop as it's quieter and has most of my favourite shops which are: & Other stories, COS and H&M. All three are part of the H&M group, so is it any wonder why I love them. 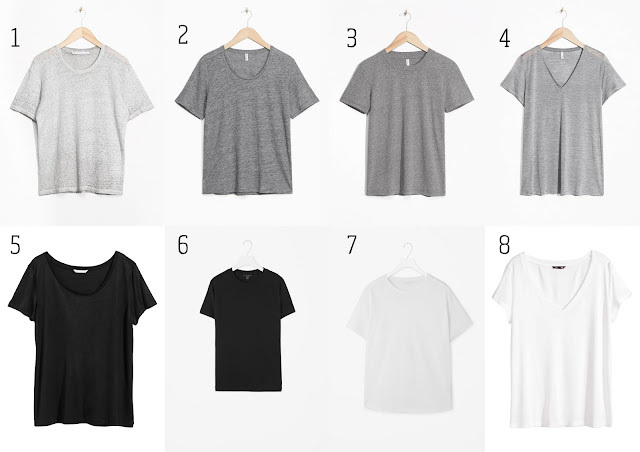 COS is known for its contemporary designs, their basic t-shirts, in my opinion, are the best I've tried so far. & Other Stories was a store I discovered while walking past the Regent St store on its store opening day, I was captivated by how beautiful everything was, I could spend hours in that one store. They do a large range of women's clothing, shoes, jewellery, bags and makeup...now you know why I can spend hours there. Lastly, H&M, their fashion line is one of the best on the high street, and their basic t-shirts sell from as little as £3.99. Fell in love with this skirt but had to stop me from shopping, it had pockets, slits on the side, mid-length and an elastic waist, what's not to love! COS t-shirt and skirt tried on in store. 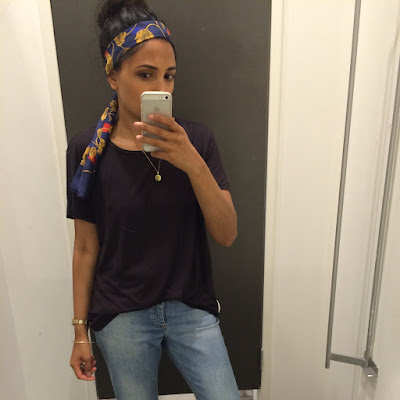 Thanks for reading and let me know if there is a favourite shop you go to for basics, would love to hear from you.